Brainwaltzera returns to FILM. The shrouded producer continues to demonstrate a breadth of skill as both a musician and engineer, with another collection of deep and textured recordings for the FILM label, intended as an Epi-Log to the artist’s debut album Poly-Ana (FILM 003CD/LP, 2017). 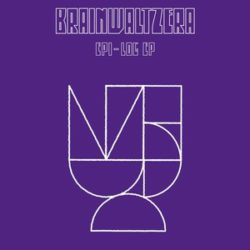 Continuing the exploration of crystalline IDM, proto-electro, ambient, and other curious strains of left-field music, Brainwaltzera looks out across a colorful and varied sonic landscape, drawing on a wealth of classic influences all the while maintaining that unique and instantly recognizable finish. Heavy on atmosphere, rich in inherent musicality, and beautifully executed — the Brainwaltzera journey continues with another solid offering on the FILM label.